Expolink are global specialists in outsourced whistleblowing hotlines. Not the musical kind of whistle though. Y’know, the kind where you anonymously report wrongdoings within an organisation. They were founded in 1995 and have grown significantly over the years; along with their whistleblowing hotline service they also have case management software which their clients can use. "We like how open and honest Noisy Little Monkey are with us, and that they are always there on the end of the phone just in case we need their help". 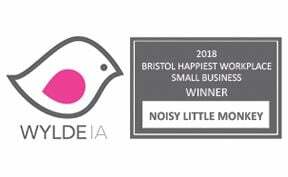 Expolink were referred to Noisy Little Monkey by another digital marketing agency that couldn’t help with their problem. What was that problem exactly? Well, they weren’t ranking on Google for their own name. FOR THEIR OWN NAME! Luckily, we stepped in. Find out how we helped Expolink by downloading the case study today! The Gordon Poole Agency came to us looking for an optimised website redesign. You won’t believe what happened next!